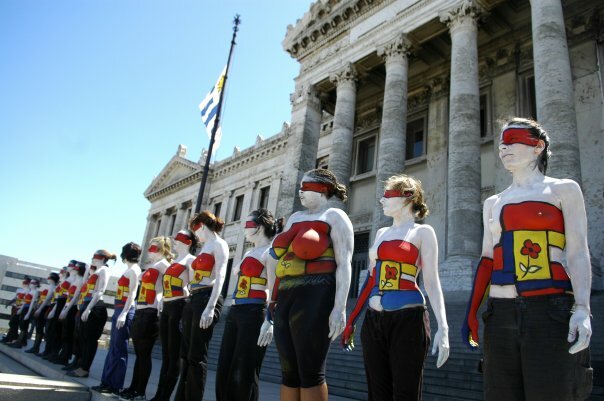 “Decisions about your body, your health and your life belong to you, they are your rights, make them true.” These were the slogans of the 2009 campaign “HaceLosValer” (Make them count, in English) coordinated by Carola Cardenas, which promoted urban intervention in front of the Uruguayan Parliament for sexual and reproductive rights. Urban interventions were undertaken to draw attention to the problem. 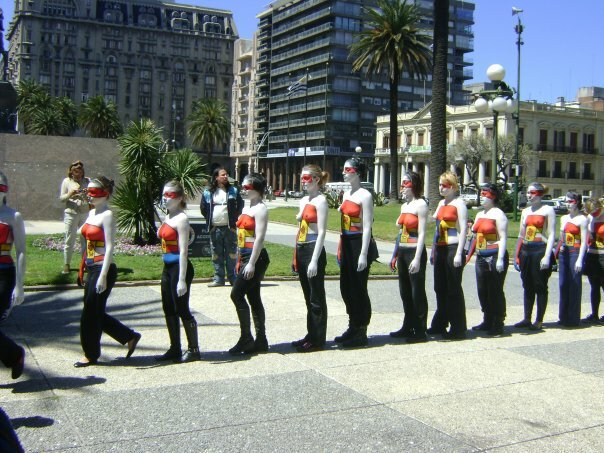 One of them was a starring group of young women with bodypainting carrying the image of the campaign (a flower) on their bodies. 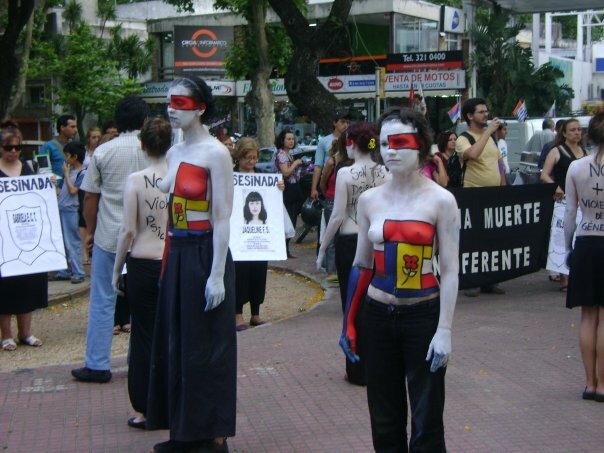 They exhibited makeup allusive to the theme on their chest and torso, and they carried signs with slogans asking for the inclusion of this question on the electoral debate with slogans such as “What does your candidate propose?” or “Every 20 minutes, a clandestine abortion in Uruguay”. 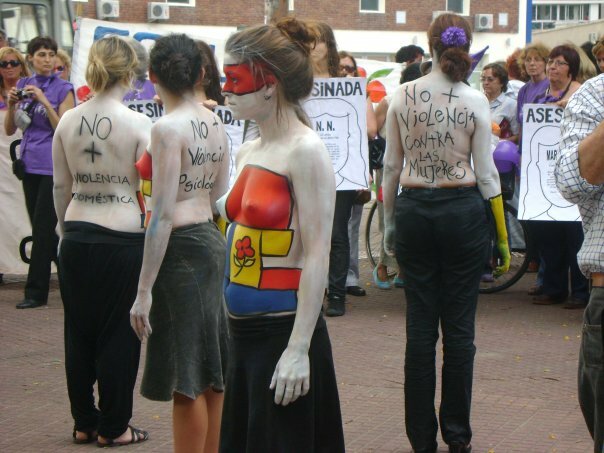 These interventions took place in emblematic locations in Montevideo, the seat of the Executive Branch and the Legislative Branch or Plaza Libertad (the latter took part in the framework of the Day for the Decriminalization of Abortion in Latin America and the Caribbean, September 28). These public mobilizations were characterized as “novel and timely”. 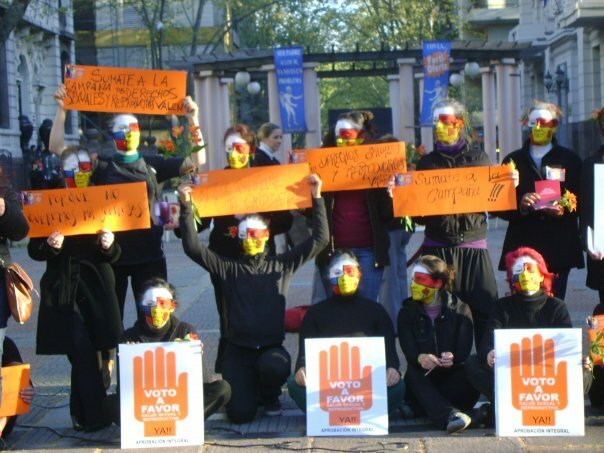 On the one hand, they attracted attention and involved citizens in a non-traditional way. On the other hand, the action had a major national and international print media.